Here are the perfect party supplies for your New Years Party! If you're planning to see the New Year in by throwing an awesome party, you're going to need party supplies! We know how stressful it can be to try and organise a party, and with Christmas just gone, the last thing you want to be doing is adding more stress to your life. So, we're here to the rescue! We've listed out top party essentials that is guaranteed to make your party the best party of the year! 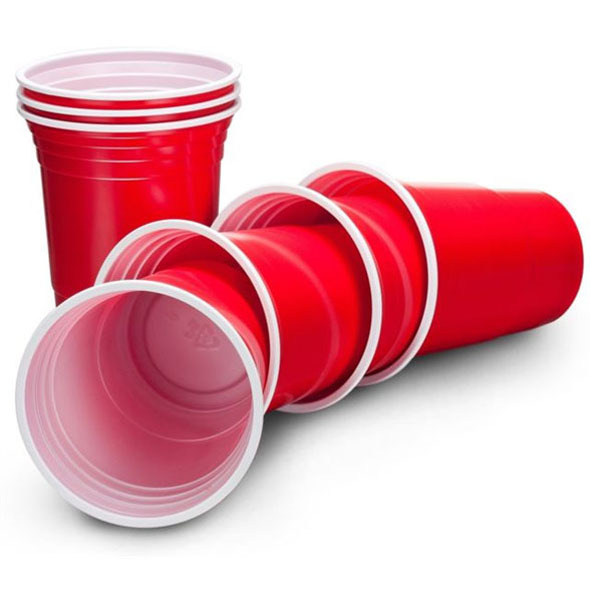 These Solo cups are the ultimate party cups! There is no other way to drink your alcoholic beverage of your choice than from one of these! 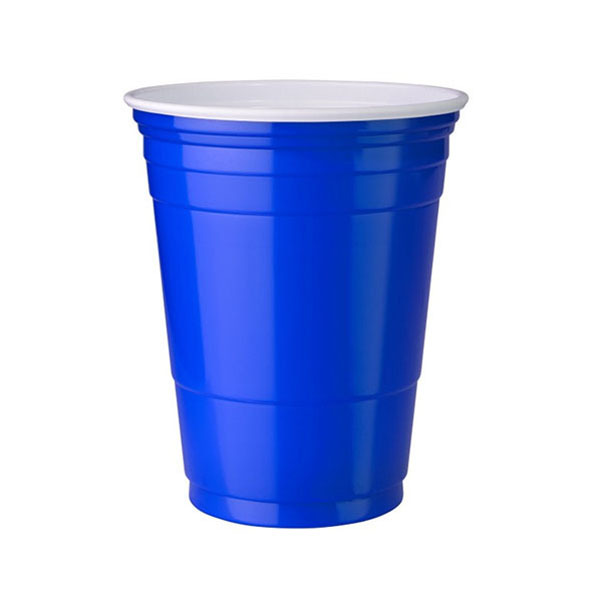 You've seen these party cups countless times on American teen movies, and those parties always look the awesome and we it's all down to these bad boys! Prices start for from just £1.60 for a pack of 10, so they're really affordable to! Of course Solo cups aren't the only party cups your guests can drink from, and if your'e planning on serving up some Jagerbombs at your NYE party, these Jagerbomb bomber cups are essential! It's not really a party until someone has a Jagerbomb! Get ready to drop one last bomb before the big countdown! It's guaranteed that people will bring plenty of booze to your party, but all of those bottles will go to waste if you've got no way to open them. You'll need a bottle opener at the very least, but if you want something special, we have a large range of novelty bottle openers! From Star Wars to Batman, you're guaranteed to find the bottle opener that's right for you! Now it isn't a party until you start playing Beer Pong! We have a variety of Beer Pong Sets, each with a different twist to the game. There is no better way to bring everyone together and have fun than Beer pong! Theres no better way to countdown the hours to midnight than playing a couple of drinking games! And we have a few great Drinking games that are guaranteed to get everyone drunk and enjoying themselves! Click here to view our other Party Essentials. We speak for burgeoning alcoholics everywhere when we express just how uncomfortable it is to hold a freezing cold beer (we know, we know, first world problems). After a while, your hand practically becomes frozen solid, and all you can do is sit there and remember all the good times you had when your hand wasn't so numb. Of course, you could just wait for it to warm up a bit, but who wants to drink a warm beer? Not us! With The Fist Beer Cooler, you no longer have to struggle with this dilemma. As you can see, beer cans fit perfectly into the huge fist, and it will keep your drink extra-chilly for whenever you fancy a little slurp. Oh, and just when you thought The Fist beer cooler couldn't get any better...it's now HALF PRICE! That's right - you can now get your hands on a First for a mere £7.50. Absolute bargain! So what you waiting for? Click here to purchase your very own Fist and prevent yourself from getting beer-related frostbite in future! The 2015 UK general election is mere weeks away, and the whole country seems to be getting terribly excited about it. Candidates are hitting the campaign trail, journalists are placing their bets, and everybody is tweeting like Kanye West just interrupted yet another acceptance speech. However, we appreciate that not everybody can muster that level of excitement for politics. If a night in with David Dimbleby and Nick Robinson doesn't sound particularly thrilling to you, we've got the perfect solution: alcohol! Yessir, there's nothing like a drink or five to make the election night go by that little bit faster. We've even got colour-coded drinking accessories for each of the five big parties - it's time to pick your side and support them by getting squiffy! ...the royal blue version! Ideal for cheering David Cameron back into No. 10 while you get sloshed. Given the losses that experts have forecast for the Lib Dems come election day, Nick Clegg and his followers may well need something slightly stronger than beer when the results are finally announced. 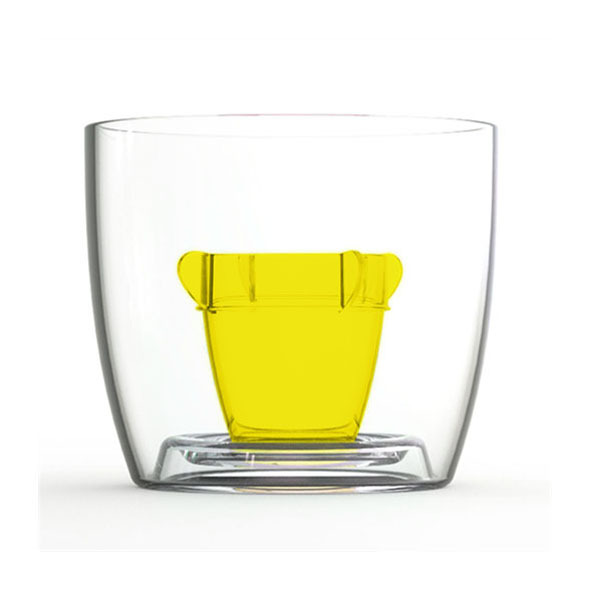 Jagermeister might do the trick, and this lovely yellow cup is exactly the right colour for LD supporters. If you live north of the border, it also works for the SNP. Given Nigel Farage's fondness for being photographed with a beer in his hand, we're slightly surprised that we haven't yet seen him chugging a proper British ale through one of these beer bongs yet. It's even the right colours for UKIP. Not a UKIP fan? Fear not - here's a beer bong that's slightly more suitable for left-wing drinkers! The Green manifesto is pretty tough on waste, mind, so make sure you don't spill any. Of course, if you're more interested in the other kind of party, there are plenty of other apolitical items in our Party Essentials section. Happy drinking! Fancy a Game of Twist Pong This Weekend? It's Thursday afternoon, which can only mean one thing: it's almost the weekend! Rest assured that we're already making plans for our 48 hours of freedom here at Gadget Inspector; if your Saturday night is still a blank slate, we'd highly recommend a few rounds of Twist Pong. As the man said, Twist Pong is exactly what it sounds like: beer pong with a twist! Every time your opponent gets his/her ball in one of your cups, you have to spin the spinner and do as it says - this could mean drinking two cups instead of one, or performing a crazy trick shot, or even swapping sides with your rival! Twist Pong is just one of the super-cool beer pong games we have here at Gadget Inspector. If all that spinning makes you feel a bit dizzy, why not try one of the others instead? Party Pong: Beer pong for any number of players! Strip Pong: Beer pong...but naked! Original Beer Pong Kit: For fans of the classic rules. 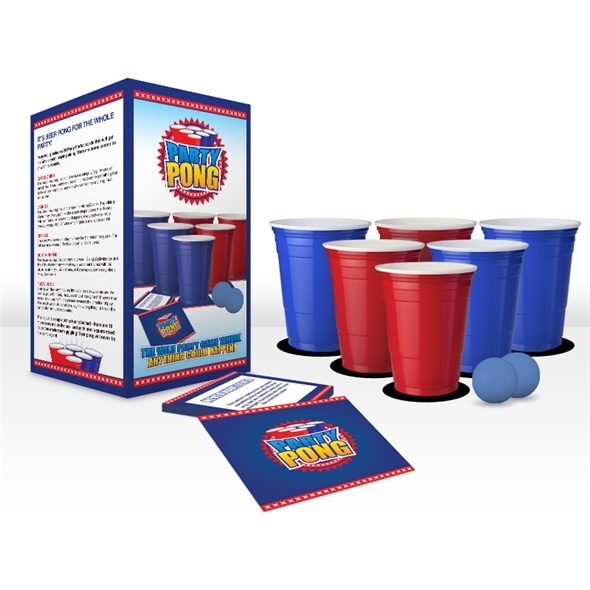 Party Pong: Win a Set for Yourself! The trouble with beer pong as a party game is the fact that only two people can play (or four, if you're doing it in teams). The average party has, like, way more people than that, and this means that, if you're having a beer pong party, most of your guests can expect to be sat on the sidelines doing nothing for the whole evening. Two 'shooters' are chosen - these are the people who will actually be playing beer pong. The shooters stand at opposite ends of the beer pong table while everyone else forms a circle around them. Fill 12 cups with beer and place them on the table (6 at each end). Then, shuffle the 'Party Forfeit' deck and place 1 card under each beer cup. Play beer pong! Shooters take it in turns to throw their ball at the other shooter's cups; if a ball lands in a cup, that cup's owner must drink the cup's contents, remove it from the table, and read out the 'Party Forfeit' card that was underneath. Here's where things get fun for everyone else: the WHOLE PARTY must now follow the card's instructions, whatever they may be. Usually, you'll end up playing some sort of mini-game like Fuzzy Duck or Categories, but there are 24 different cards in the Party Pong set, so it could be pretty much anything! Once the card's instructions have been carried out, play resumes as normal until another cup is hit. When one player runs out of cups, elect two new shooters and start the game again! Woo-hoo! Now, we know what you're thinking: "That sounds like a heap of fun! How can I play?" Well, you can either click here and purchase a shiny new Party Pong set from the Gadget Inspector website...or you can enter our Twitter competition and try to win one! We're giving away a complete Party Pong set - including cups, balls, and those all-important forfeit cards - to one lucky tweeter, and all you have to do to be in with a chance is follow @GadgetInspector and retweet this post! The winner will be announced in a week's time. Best of luck! Fun Facts about the Queen you probably didn't know! Our Top Batman and Superman Gifts and Gadgets! "RT @BeerBongUK: #competition time! This is absolutely perfect for #freshers. Follow and RT to win! Comp ends Tues 30th Sept, 12pm. http://t…"